As another year comes to a close, another batch of sobering numbers about the United States' semi-secret drone war is in. They're actually not as bad as they used to be. The Council on Foreign Relations just updated its running tally of deaths caused by covert drone strikes in non-battlefield settings, dating from its first report, in November 2002, until the end of this year. The chart brings together estimates from the Bureau of Investigative Journalism, the New America Foundation, and the Long War Journal. Encouragingly, the estimated number of deaths in 2013 is roughly half what it was last year. The Long War Journal, which keeps the most detailed tally, estimates that 54 total drone strikes killed 253 people in Pakistan and Yemen this year, 31 of whom were civilians. In 2012, there were 532 total deaths, 39 of whom were civilians. There were also deaths in Somalia, but they weren't broken out by year. Since 2002, about 3,520 people have been killed in these strikes, 457 of whom were civilians. So the good news is that the United States is killing fewer people with robots. 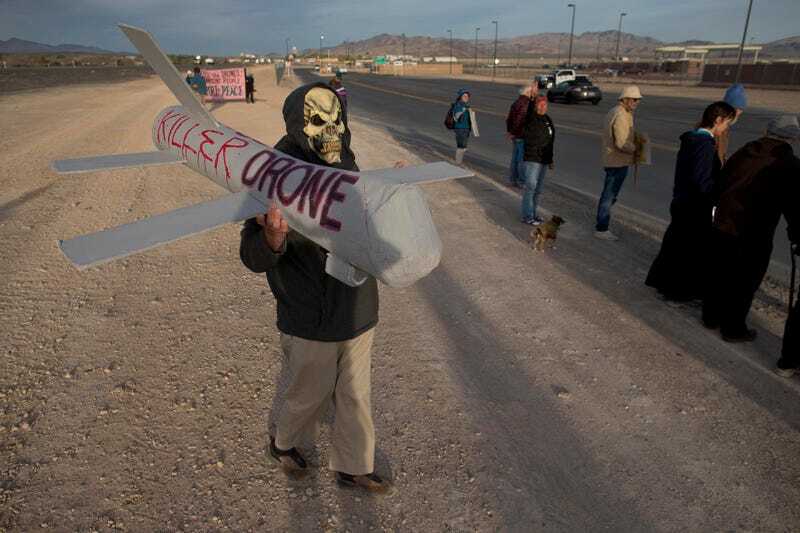 The bad news is that drones are actually now killing slightly more civilians. The worse news is the same as it's been since 2002: We're killing people on the other side of the planet using semi-autonomous machines, and many of these victims are unsuspecting civilians.